The Super Friends travel to a new city to set right what once went wrong and to drag Oliver Queen some more. Also, I finally get to see one of my favorite comic book heroes in live action, but you already knew that since you probably heard that eardrum-shattering fangirl squeal on Monday night. That was me. Sorry. These two episodes of television were too savage for Kevin and Bethany to handle alone. 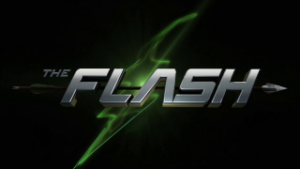 What happens next is nothing short of legendary, so grab a friend because it’s time to take a look at CW’s The Flash and Arrow. This is a big ol’ two-parter and we’ve got a guest this week, so we’re gonna skip the preliminaries and go straight to the good stuff! Wait what? 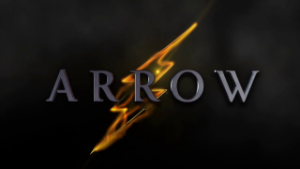 We’re reviewing Arrow this week? But nobody here cares enough about that wannabe Batman to…ohhhhhh, it’s a crossover episode? That explains it. This week on Arrow, aliens are invading. A group of ninjas, scientists, vigilantes, and a borderline god(dess) have come together to fight the threat. Somehow Oliver Queen still manages to make it all about him. It’s almost time, friends! The next seasons of the CW Supershows are nearly upon us, and we’re all just as excited as you are to see where they go with them. Let’s get the big spoiler and the impetus of this editorial out of the way first. Arrow has been teasing a major death since the beginning of its fourth season. On the April 6th episode, after a season of near-death experiences for several characters, the big death happened.